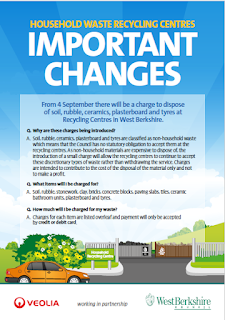 West Berkshire Council are consulting on proposals to change litter picking and street cleansing services to save money. However, Lib Dem environment spokesman Councillor Alan Macro branded the consultation “meaningless”. He said “roads in towns and villages outside town centres are currently litter picked every two weeks. The proposal is to replace that schedule with ‘routine work, supplemented by reactive work where land falls below an acceptable standard’. That phrase is meaningless to most people and that therefore makes the consultation itself meaningless. The council needs to withdraw this consultation and replace it with one worded in plain English”. 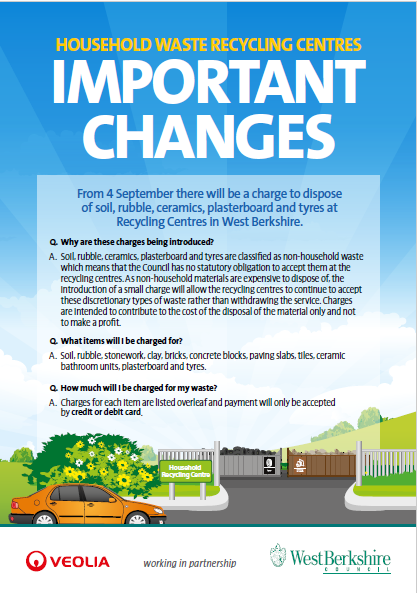 I handed my petition against the new charges for taking DIY waste and tyres to West Berks recycling centres to the council's Executive meeting last night. It had 295 names. More people signed overnight so I sent a revised version with 311 names this morning. 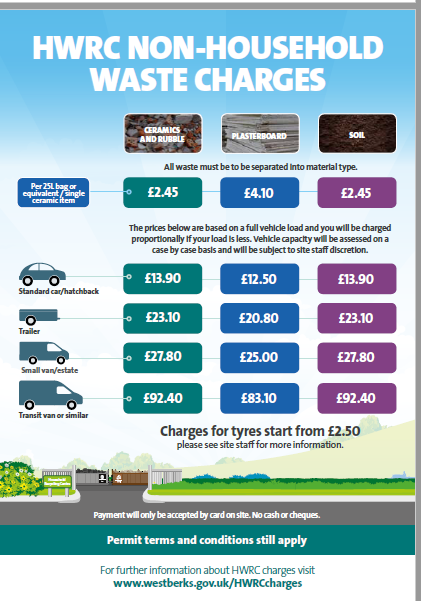 West Berks Council will start charging for taking DIY waste and tyres to recycling centres on Mon 4th Sept. The charges will be for things like rubble, plasterboard, soil and tyres. Please see attached images for details. 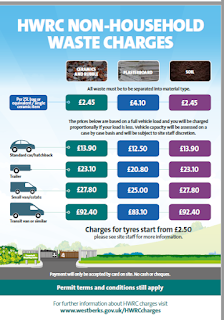 I've started an online petition asking the council to reverse these charges - please add your name here.